How to e-File without Form-16? 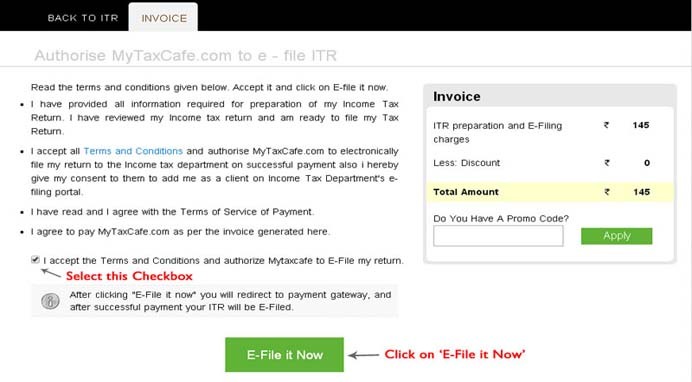 a) Visit Mytaxcafe.com and select the manner for efiling of Tax Return. Enter your email address and password and click on 'Create Account'. 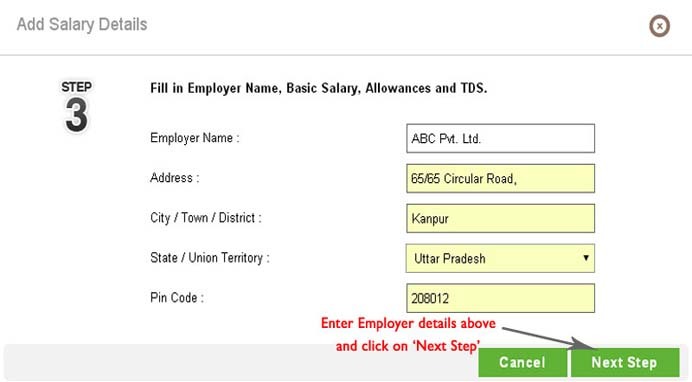 a) Enter your PAN number, Date of Birth, other personal details and click on 'Save & Next Step'. 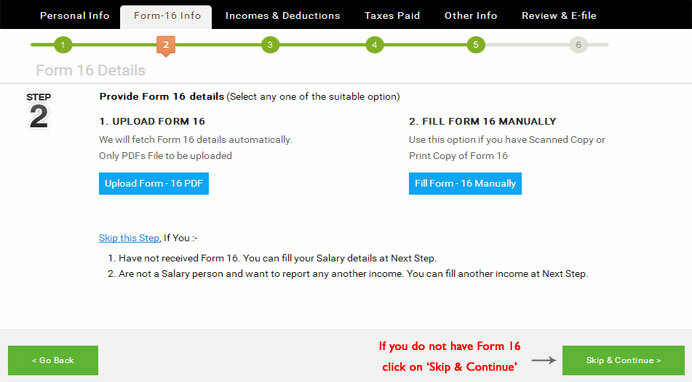 a) To e-file without Form-16, select 'Skip & Continue'. a) Click on 'Report or Edit'. 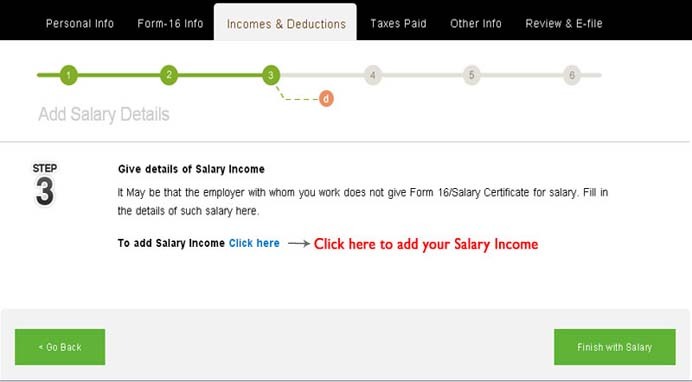 Enter your Salary details by clicking on 'Click here'. Enter your employer details and click on 'Next Step'. 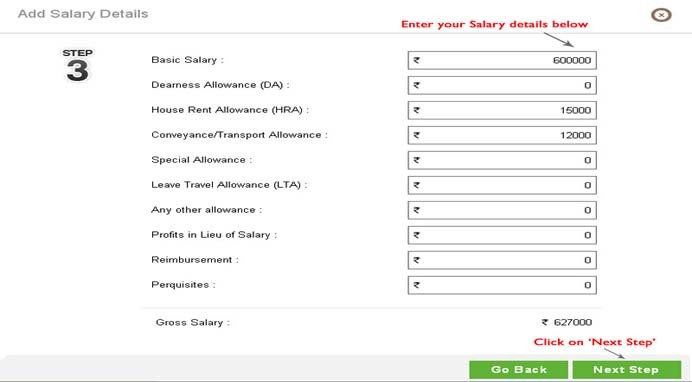 Enter your Salary and Allowances details and click on 'Next Step'. 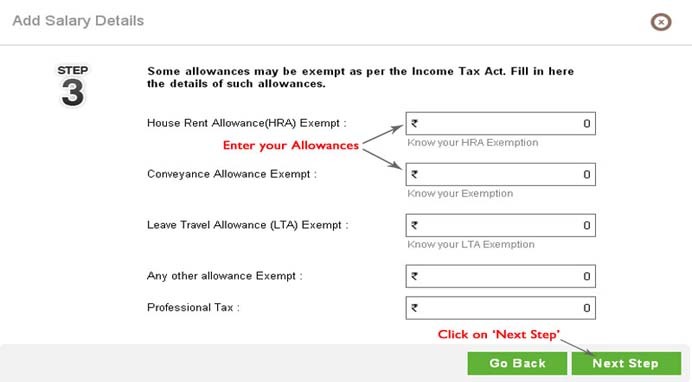 Enter your allowances exempt from Income tax and click on 'Next Step'. 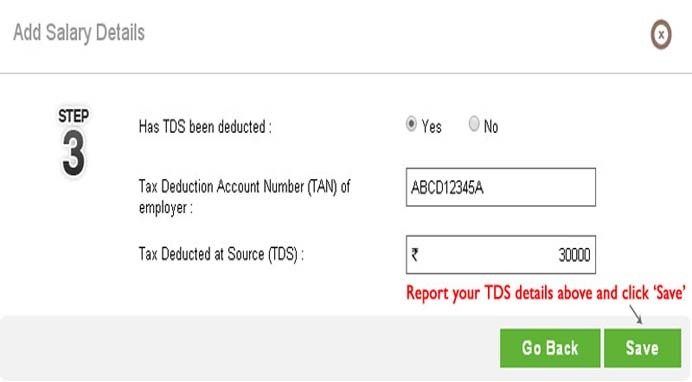 Enter the TDS details, if any. 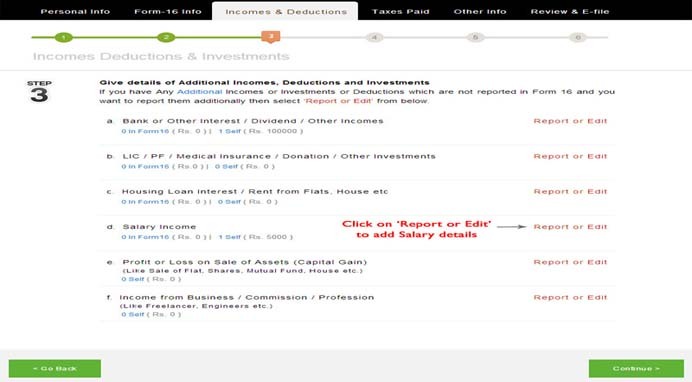 Your Salary details are saved in your account and you can edit them anytime later if you want. 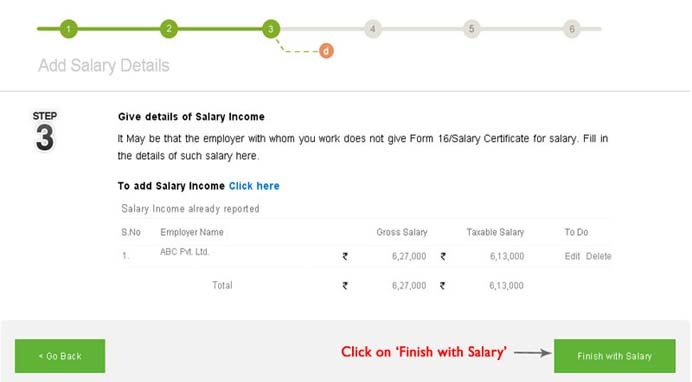 Click on 'Finish with Salary'. a) If you want to report any other income and investments, report them at this step or click on 'Continue' as shown in Figure 12 below. 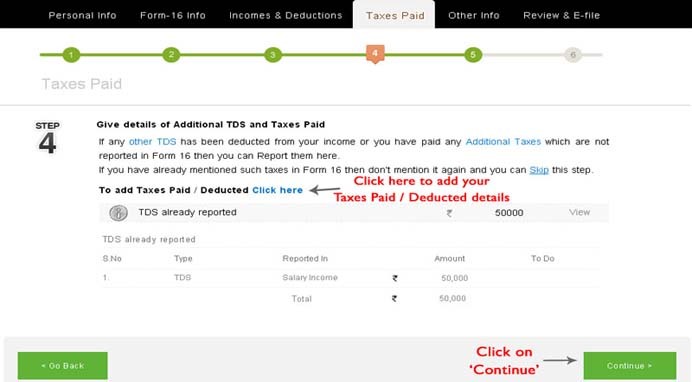 a) If you want to report any other taxes paid or TDS details, report them at this step or click on 'Continue' as shown in Figure 13 below. 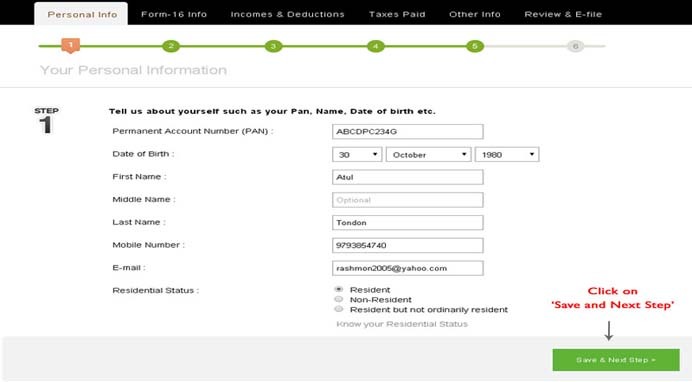 a) Enter bank details, residential address and other details by selecting appropriate tabs as shown in Figure 14 below. 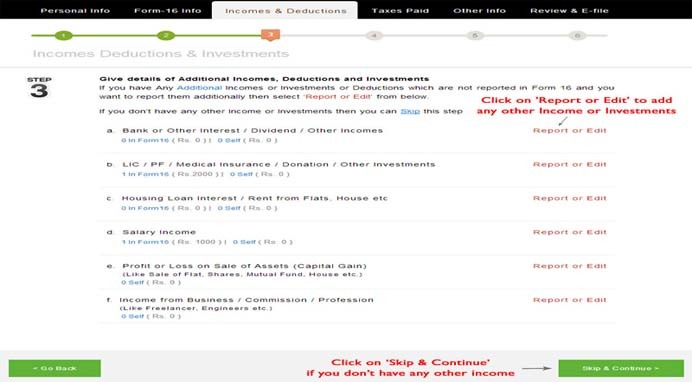 a) Review your calculated tax and Income and click on 'E-File My ITR' as shown in Figure 15 below. Accept the Terms and Conditions and click on 'E-File it Now' as shown in Figure 16 below. 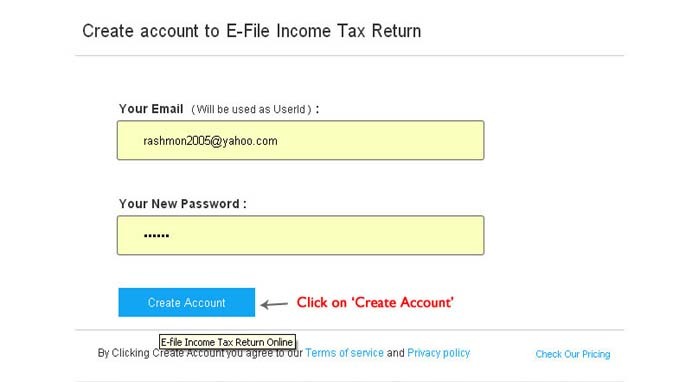 How to e-File Income Tax Return? How to e-File ITR with multiple Form-16? 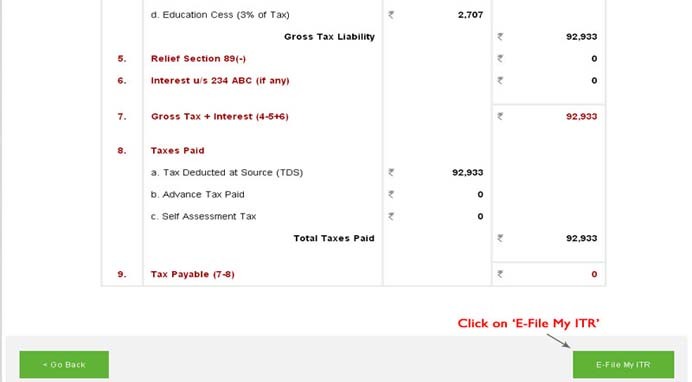 How to e-File a Revised Return? How to e-File ITR without Form-16? 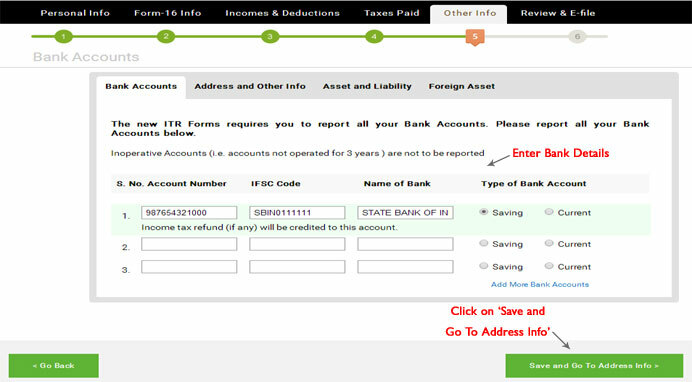 How to Check Income Tax Refund Status?